Intruduction: The comorbidity between depression and social anxiety is high in adolescence. Parental emotion socialization behaviors have been associated with the development of social skills and depressive symptomatology. Objectives: This study aims to explore the moderating effect of parenting styles on the relationship between social anxiety and depression, to study the associations between them, and to analyze the relationship between parenting styles, social anxiety and depressive symptomatology in adolescents. Methods: The sample consisted of 122 parents and their children. Self-report instruments were used to assess social anxiety, depressive symptomatology and parenting styles. Results: It was found that social anxiety is significantly associated to depression and that the former has a predictive effect on the latter. The parenting styles revealed no significant associations with either depressive symptomatology or with social anxiety, but a moderating effect of explorer parenting style was found in the relationship between social anxiety (public performance) and depressive symptomatology. Conclusions: The present investigation confirmed the existence of a significant association between social anxiety and depressive symptomatology in adolescence and suggests an effect of parental practices of emotional socialization in this relation, which, however, should be replicated in future research. It will also be important to study the effect of parenting styles on children's emotional regulation skills and their possible mediating effect on the relationship between social anxiety and depression. Abela, J. R. Z., & Hankin, B. L. (2008). Depression in children and adolescents: Causes, treatment, and prevention. In J. R. Abela & B. L. Hankin (Eds. ), Handbook of depression in children and adolescents, (pp. 3–5). New York, NY: Guilford Press. Baron, R., & Kenny, D. (1986). The moderator-mediator variable distinction in social psychological research: Conceptual,strategic, and statistical considerations. Journal of Personality and Social Psychology, 51(6), 1173–1182. Cummings, C., & Fristad, M. (2008). Mood disorders in childhood. In R. G. Steele, T. D. Elkin, & M. C. Roberts (Eds. ), Handbook of evidence-based therapies for children and adolescents: Bridging science and practice, (pp. 145–160). New York, NY: Springer. Gonçalves, M. & Dias, P. (1999). Avaliação da ansiedade e da depressão em crianças e adolescentes (STAIC-C2, CMAS-R, FSSC-R e CDI): estudo normativo para a população portuguesa. In A. P. Soares, S. Araújo & S. Caíres (Orgs.). Avaliação psicológica: formas e contextos (pp. 553-564). Braga: APPORT. Gottman, J. M., & Declaire, J. (1997). The heart of parenting: How to raise an emotionally intelligent child. New York, NY: Simon & Schuster. Kline, R. (2011). Principles and practice of structural equation modeling. (3rd ed.). New York, NY: The Guilford Press. Kovacs, M. (1985). The children's depression inventory. Psychopharmacology Bulletin, (21), 995-998. Marôco, J. (2010). Análise de equações estruturais: Fundamentos teóricos, software & aplicações. Sintra, Portugal: Report Number. Marújo, H. (1994). Síndromas depressivos na infância e na adolescência (Unpublished doctoral dissertation). Faculdade de Psicologia e Ciências da Educação da Universidade de Lisboa, Lisboa, Portugal. Matos, A.P., Costa, J.J., Pinheiro, M.R, Silva, E., & Marques, C. (2016). Parenting Scale Self-Test: estudo da estrutura fatorial. 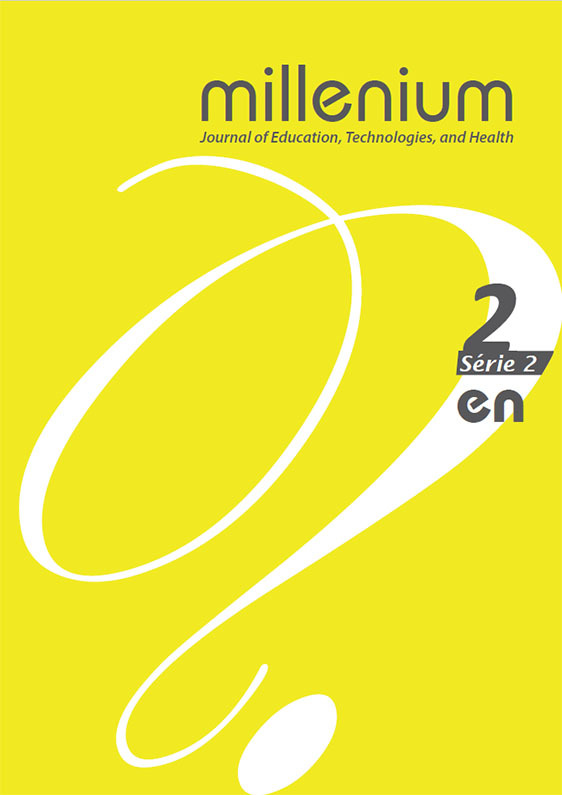 Millenium - Journal of Education, Technologies, and Health. (in press). Pestana, M. H. & Gageiro, J. N. (2005). Análise de dados para ciências sociais: A complementaridade do SPSS (4th ed.). Lisboa: Edições Sílabo. Ramsden, S. R., & Hubbard, J. A. (2002). Family expressiveness and parental emotion coaching: Their role in children’s emotion regulation and aggression. Journal of Abnormal Child Psychology, 30, 657-667. Salvador, M. C., Matos, A. P. Oliveira, S. A., March, J. S., Arnarson, E. O., & Craighead, E. W. (2015). The Multidimensional Anxiety Scale for Children (MASC): Psychometric Properties and Confirmatory Factor Analysis in a Sample of Portuguese Adolescents. Manuscript submitted for publication.